Experience the freedom of owning your own food takeaway shop with the security & convenience of an established & profitable franchise system. Bucking Bull is expanding! An exciting opportunity now exists in Hervey Bay. 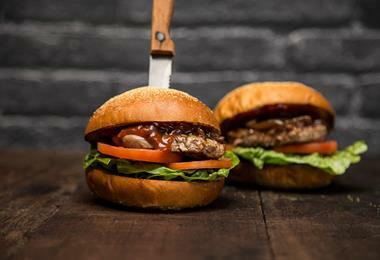 The site is located within the busy food court of Stockland Shopping Centre. Bucking Bull's strong branding, stylish marketing material and ongoing marketing coaching gives every Franchise Owner the tools and skills to grow their business year after year. - How to deliver high product quality at lower cost. - How to recruit 12 key performance indicators to tweak and grow your profits. - Food merchandising secrets to maximise your sales. - How to keep your customers delighted and fiercely loyal. Franchisees are provided with 1 week of classroom based training at Bucking Bull’s Support Office, followed by 2 weeks of in-store operational training. 'People' are our most important ingredient. 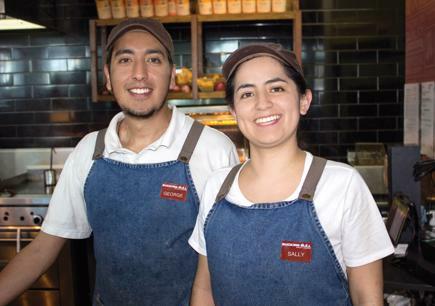 Our franchise owners come from all walks of life, and don't necessarily have food retail or restaurant experience. We are looking for entrepreneurs who are genuinely interested in being part of our dynamic and exciting food service business. More than anything we’re looking for passionate and ambitious people who believe that they can create a positive future for themselves from focus and hard work. 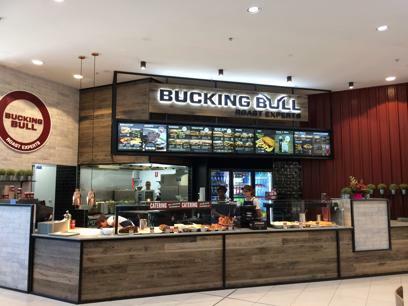 Combining the freshness and quality of traditional home cooking with the convenience and value of food court dining, Bucking Bull has now grown to be the nation's most loved Roast & Grill restaurant with close to 40 stores across the country. 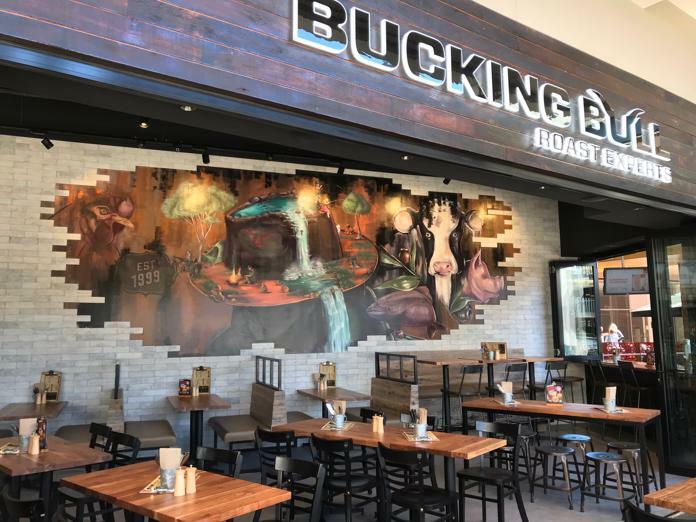 Bucking Bull is currently the only retail food court concept that focuses specifically on meat. We have been carefully cultivating and refining the quality of our famous meals, with our signature roast meats at the centre of the menu. This is highlighted in a new store design that promotes the visible theatre of the unique roasting and carving skills that occur with every meal. We’ve invested several years and a lot of money developing our model and building our extraordinary support systems and coaching programs. We’ve been around long enough to see what works well and what causes Franchise Owners and customers anguish and dissatisfaction. From the moment your commitment is made, the Bucking Bull management team begins the planning process. We’ll work with you, lending our experience and expertise to every facet of your new business. WHAT DO BUCKING BULL FRANCHISE OWNERS SAY? If you’re a passionate entrepreneur looking for a fun and successful business we’d love to meet you. Call 07 3423 0555 today, send an email enquiry or visit us at www.buckingbull.net to find out more. Since 1999 Bucking Bull, Australia’s Favourite Roast & Grill- has spread across Australia and has grown to become the largest roast & Carvery in the country. We now have close to 40 stores in food courts across the country, with many more in the pipeline. Bucking Bull is part of the Aktiv Brands Group. Aktiv Brands is a leading Australian retail food brand developer and manager. We’ve been around long enough to see what works well and what ingredients result in Franchise Owners success. 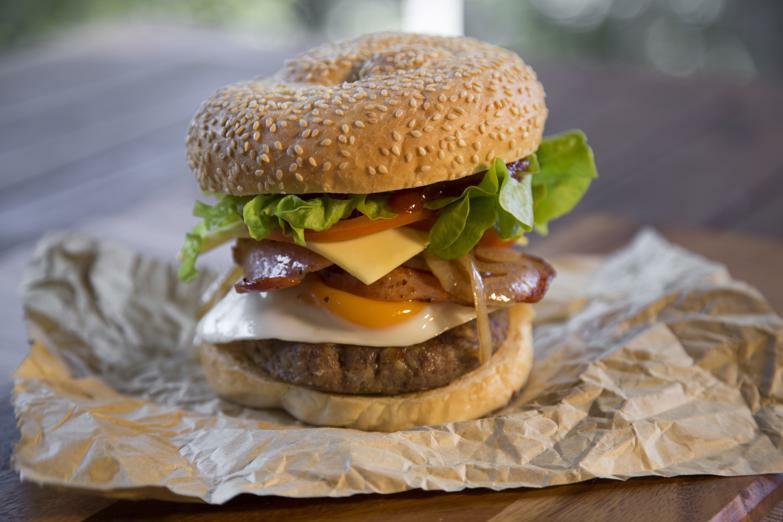 Bucking Bull | Fast Food Franchise | Tamworth Shoppingworld COMING SOON!